My Italian background has played an important part in many facets of my life. Probably the biggest part has been in my founding of Viva Safaris in 1991. Because I can speak Italian fluently, the big Italian travel agencies like Sandown Travel and International Travel supported Viva from the outset. I take a keen interest in the Serie A Italian football. My family came mainly from Piedmont so I support Juventus. This year Juventus and Roma are vying for championship honours. The Romans have always exaggerated things and genuinely believe Juventus will not win! They have also exaggerated in naming the millipede and centipede. Translated from the Latin, “millipede” means “thousand feet” while “centipede” means “hundred feet”. I have never actually had occasion to count the feet but am 100% sure that there are, in reality, fewer feet in both species. Most people fail to understand the difference between the words “poisonous” and “venomous”. Millipedes are poisonous while centipedes are venomous. 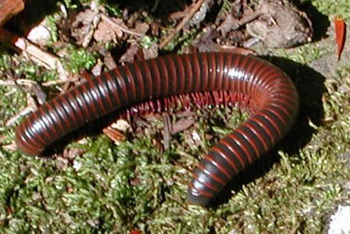 Simply put millipedes are poisonous to most animals (the civet and ground hornbill, among others, excluded) insofar as, if ingested, millipedes cause illness or death to the person or animal that eats them. So it is a passive kind of ill. Similarly some mushrooms are therefore poisonous, not venomous. 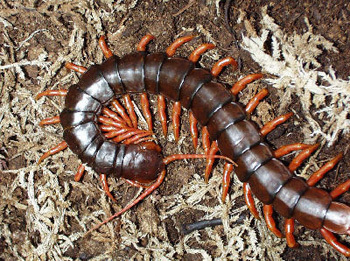 Centipedes are venomous insofar as they inject venom into their victim, thus causing illness or death. It is an active kind of ill.
Our guides sometimes pick up a millipede to show our guests – the millipede sometimes urinates on them – serves them right for disturbing! No guide will ever pick up a centipede as they will possibly be injected with venom. Similarly some snakes are therefore venomous, not poisonous. Of course, lions are neither venomous nor poisonous. 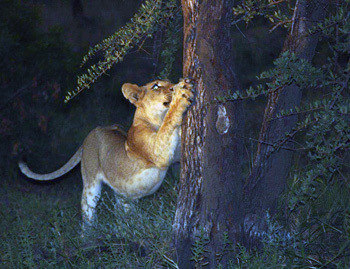 Judging by all the lion photos sent in by the guides, there must have been some good lion sightings in February 2014. At sunrise during one morning drive, the baboons and impalas were busy eating Marula fruit and enjoying the sunrise with us. The next moment all of them were going crazy, but not running away so I suspected something small like a snake. We stopped and looked around but we did not see anything. All of sudden we saw a big African Rock Python come out of the bushes and cross the road about two metres from the open Landcruiser. The baboons went crazy and kept harassing the snake that tried to get away into the bush. The sighting was very quick but very amazing to see. After the python left the area, the baboons went back and joined the impala and started eating fruit again. We left Tremisana early in the morning before sunrise so we could get to the walking spot before it got hot. On our way we spotted two Black Rhinos drinking water at a nearby dam. It was a very amazing sighting and later two big bull elephants joined the rhinos. One bull elephant walked close to the rhinos. 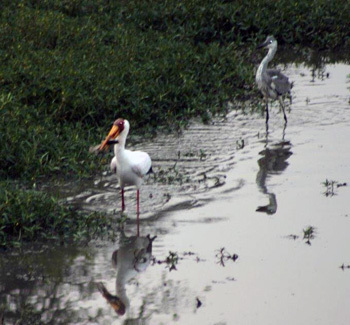 There were also two different species of birds including grey heron and yellow billed stork. The yellow billed stock caught a catfish and the heron started attacking to steal the fish but the stork was fast enough to get away from the heron. It was a big fish and it was heavy for stork to fly with it for a long distance. It was my first time to see a stork catching a big fish like that size. Everyone was paying attention to the stork and heron that we actually forgot about the rhino. The sightings in Kruger National Park were a little difficult because the vegetation is dense and water is available all over. We spotted mainly general game in the open areas of the savanna. This time of the year herbivores prefer to feed in open areas because it is safer as it is easier to see predators from a distance. With Elvis, I set off for the Marula Boma braai. We noticed a few impala running across the road every here and there, nothing really exciting along the way until…just before the turn off for the Marula Boma we saw something black on the road. We were still a distance away so we took no notice, thinking it was maybe a warthog, until we got closer and closer and this mysterious object started to look more and more like a wild dog. 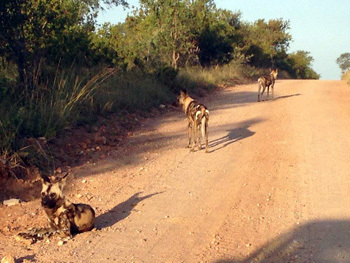 We thought no this couldn’t be a wild dog, they haven’t been seen here in Balule for a while now. It was not until three more came out from behind the bush that we saw it was the wild dogs. We instantly sped off towards them hoping to catch a few glimpse of them before they disappeared into the bushes but to our surprise they decided to take a quick nap on the road. This nap allowed us to get right up close to them taking some decent photos. This was a wonderful drive for me as it was just after I got back from my leave so again a wonderful surprise from the bush. The drive had started nice and early- 06h00 in the morning, and we had begun the drive with possibly the most beautiful sunrise I have ever seen. We sat quietly watching the sunrise taking in all the sights and sounds around us : the birds singing and the insects starting to get active – all of this was truly amazing. We had no sooner started up again when there was a call on the radio that there were tracks for two female lions walking into the one property along the road so obviously the guide had followed them but with no luck. They had lost the tracks in a rocky area, so we continued our drive but not really having much luck because with the lions moving through the area everything else moves away. We persevered nonetheless eager to see anything that would come our way. After a few brilliant bird sightings we were far away from where the lion tracks were found but just then they called them in again, they had found them and not just two but a whole pride – in fact nine lions to be precise. We were very far away but decided let’s give it a shot and immediately turned around and headed to the area. When we got there they had moved deep into the bush but we made our way, navigating the rocks and bushes until we eventually reversed back into the river bed and there they were – all of them just lounging around on the cool dry riverbed. This made for amazing photos and an even greater experience being the only vehicle on the sighting we spent as much time with these creatures as we possibly could! On the 5th of February we saw a breeding herd of elephants that was drinking water from the Timbavati River. They then decided to cross the river. A day-old calf was struggling to cross the River. The poor calf was staggering and fell a lot of times in the river. There was a point that he seemed to be drowning. All the other calves came to the calf’s aid and helped him from all sides until they managed to cross the river. It was the most beautiful expression of love between the animals. The guests were very happy to have seen such affection. We saw two cheetahs stalking an ostrich. The ostrich stood its ground making a very loud noise whilst opening its wings dancing around to scare the cheetahs. It worked and the cheetah ran away into the bushes. We also came across two black-backed jackals wanting to feed on a carcass that was already being partaken by a number of vultures. The jackals would occasionally sneak close by but the vultures chased them away. On the 12th of February we saw a pair of mating lions approximately twenty metres from the road. At first the lioness was fighting with the male lion who was trying to mate. There was a second male on the other side as well. She left the first male and went to the second male. The two male lions began growling at each other. This went on for quite some time until they both grew weary and walked away with the female lioness following the second male. We came across a black rhino with her calf running across the road near Girivane. We then saw the male rhino start chasing a buffalo cow and her calf. He came charging and almost hit the car in front us. 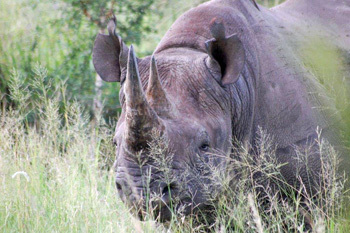 The driver of the vehicle started to hoot and the rhino stopped. He seemed confused and not sure if the car was challenging him. The driver kept his motor running until we asked him to switch off. The rhino bull then slowly made his way behind the vehicle and managed to pick up the scent of the buffalo cow and the calf and ran off into the bushes chasing after them. On Sweni road we spotted a hyena that was running around a Marula tree. It appeared as if the hyena was trying to climb the tree and bite the bark. A few seconds later we discovered why – there was a leopard in the tree with an impala carcass. On the 17th of February we came across two ground hornbills battling to strip off the shell of a tortoise. Both the female and male were helping each other turn the tortoise over in an effort to strip the shell. We also came across two male baboons chasing each other around our vehicle for about five minutes while the rest of the troop were busy foraging and relaxing. At Phelwana clearing we saw a new born kudu abandoned in the cold and rain and there was no adult close by. At Ngotso dam wall we saw a hippo bull harassing two buffalo bulls from his grazing area at the banks of the dam. Seeing five of our six rarely found cats, it has surely been a great month for me and especially for our photographers out there. After the extreme heat at the end of January, a thick cumulonimbus cloud covered the sky as we were about to head out for the sunset drive and dinner in the bush. The drive started with little activity as most of the animals were still hiding because of the heat. We had a young elephant bull crossing the road at some speed. I knew he was most likely in musth so we approached him slowly. Just as we finished admiring the elephant, a vehicle from one of the game lodges came along and the guide informed us about a lioness with two cubs about eight hundred metres further up. It was not much of a search as she was lying in the middle of the road. The little cubs at first were a bit shy but soon became curious. It was a good feeling having them so close. Everyone managed to get exceptionally good pictures. We also managed to spot a lioness with a broken or injured leg and her very healthy looking cub. The evening of the 15th of February Bongani and I headed out for the evening drive. Once again the sightings improved as it became cooler. As we were heading towards the Marula Boma for dinner, Bongani called me in on the radio informing me about a lioness with her cubs. My vehicle was filled with the excitement of the six lovely ladies on safari. Next I heard the ladies shout “stop stop! !” I turned around thinking that there was something wrong and to my delight we saw a leopard about three to four metres away. We watched her for a couple of minutes and she remained very calm. We finally left her lying under a small bush. We moved on for less than six hundred metres and found the lioness with her two cubs. What a great night it was. The early mornings of the 17th and 23rd of February we were very lucky enough to find lions resting very close to where we intended to park the vehicle and start our bushwalk. My best sighting of the month took place on the 27th of February. We found fresh lion tracks not far away from Tremisana Lodge. It did not take us long to find the lions resting on a dry river bed near a dam. They were very entertaining as they were waking up one by one and stretching themselves at a tree right next to our vehicle. We spent close to thirty minutes and we managed to get amazing pictures. I am really looking forward to March. On the 15th of February on Orpen Road while doing a full day in the park we came across a breeding herd of elephants crossing the road causing a traffic jam. The elephants were walking along the road for about fifty metres trying to find a pathway to go through. A few metres before the reception a hyena crossed the road in front of us. The impala were watching him in fear and alarming each other of the potential danger. The hyena did not bother to give chase or even look at the impala which were surprisingly following the hyena from a safe distance. 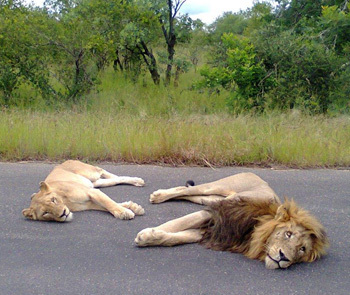 Seven kilometres from the gate at Kingfisher Range turn off we saw a pair of mating lions. There was no through road. 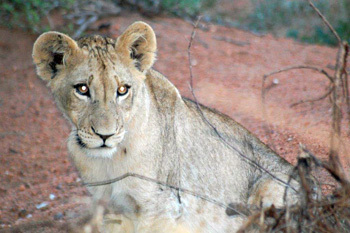 The lions were about fifty metres away from the main road. On our way back almost at the same place we saw the mating lions now on the road. This excited the guests very much. After a few seconds two male lions came along. On the 21st of February while doing another full day safari in Kruger National Park we came across a big herd of buffalos blocking the road near the gate. The security guard at the gate could not open the gate until they moved away. It took about ten minutes for the buffalos to clear off. We took the Rabelais road and we came across a male elephant that was busy shaking a Marula tree in an effort to get at the fruits. He would shake the tree and pick up the fallen fruit with his trunk. Around 11am at Nsemani Dam we saw a pride of lions that were lying at the dam wall on the rocks. Two females stood up and walked away along the stream. Then the other three females stood up and followed the two females. The lazy male was still napping under the small shrub. The movement of the shade forced the male lion to stand up and try to change his sleeping spot. To his surprise all the females had gone. He started walking around the place trying to pick up their scent and calling them. Eventually he picked up their scent and started following them. He joined his female companions and they drank water and disappeared into the bushes. 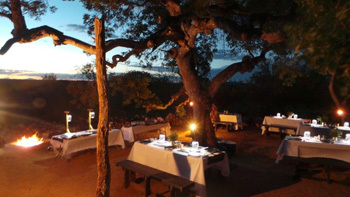 During the month of February, after great dinners under the stars at Marula Tree Boma, the night air is still with the silence broken by the occasional “good lord deliver us….” chant of the fiery necked nightjar. The lesser bush babies are out and about springing from tree to tree, with the occasional flap necked chameleon hanging onto the tips of branches. As we move closer to the lodge we come across an open area, which was once used as an air strip. Impalas often spend the nights here, as it allows them to see approaching predators from all directions, however on this night it seemed emptier than usual – the impalas where nowhere to be seen. We continued further up the road and on the far side just along the edge of the open plain I notice a group of impalas, all staring in the same direction looking rather anxious. While scanning in the direction of their stares, we spot the reason for the impala’s fears. There crouched in the grass was a female lion with her cubs scattered alongside. The lioness decided it was time to scout the area, and began to move in the direction of the terrified impalas, with her cubs copying here every move. It was an impressive sighting as the big cats moved off under the full moon. The next highlight took place during a morning drive. I decided to head down towards the Olifants river, often a good place to find buffalo as well as hippos wallowing in the water. Along the way we came across the occasional giraffe, feeding away on a variety of very thorny looking trees, the knob thorn being one of them. On the way to the river I decided to take one of my favourite drives through a dry river bed. As we slowly crept through the thick sand shaded by the overhanging vegetation, I noticed the tracks of a black rhino, often seen moving through the area. The tracks luckily seemed to be moving in the same direction, and they looked very fresh. Fresh they certainly were – as we made our way around a corner there standing in the dry river bed was a big strong male black rhino, enjoying some morning shade. Brilliant sighting and my guests loved it ! 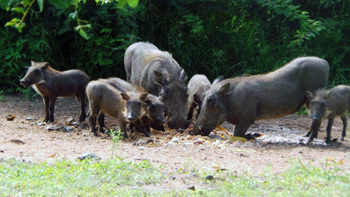 I guided a full day in Kruger National Park with nine guests. We saw a lot of elephants. 3km from Timbavati picnic spot we saw one big male lion. We also saw two rhinos near Rabelais and five hundred metres before Orpen we spotted a leopard. While doing a bushwalk at Balule on Oxford we saw a huge breeding herd of elephants with tiny babies of about four days old. On our way back from the walk we came across a large herd of buffalos approximately plus minus five hundred. I had eight guests with me when I went into the park and the weather was partly cloudy and it started raining later. Two and a half kilometres from the boom gate we saw twelve lions. On Rabelais we also came across a mating pair of lions. We saw one white rhino. A few minutes after we came across a bull elephant who was in musth. On the bushwalk we saw two elephant bulls in musth while still driving toward the walking site. The elephants tried to charge the car and we had to reverse for about seventy metres. Our guests thought it was great! I took two guests on our luxury lodge program on a private safari to Kruger. Near Orpen we were welcomed by two white rhinos that stood on the road for about an hour. The guests loved it ! We are pleased to advise that we have engaged the services of Janetta Viljoen. I know Janetta and her late husband Gert for a long time – predating their time as Camp Managers at Orpen Camp in Kruger Park in the mid-nineties. In fact it was Gert that started the Bush Braais at Orpen using Viva Safaris as their principal guests. Janetta ran the popular Wildebeest Lapa restaurant and guesthouse in Kampersrus (near Moholoholo Rehab Centre) and brings with her an invaluable wealth of knowledge in the catering, housekeeping and camp management fields. Janetta will be stationed at Marc’s Camp. The Viva family is very fortunate to have her and bids her a great big welcome ! TREMISANA has had excellent rain this month and the camp gardens are looking terrific ! Construction of the new staff accommodation is just about done. Tremisana Dam is close to 100 percent full. The warthogs have literally lived up to their name and are dominating the monkeys at the place we put out the vegetable kitchen excess. Our plan was to keep the monkeys busy and away from our guests at breakfast. Now that the warthogs take over, some impatient monkeys have returned to the breakfast tables and this has necessitated having staff on guard duty. MARCS TREEHOUSE LODGE has had an increase in the birth of young buffalo. There is a large herd consisting mainly of cows and calves roaming the area. Guests on the morning walk have been very pleased to encounter the herd which has not been aggressive. 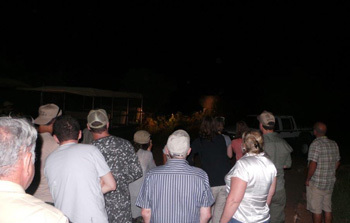 We have been pleased with the reaction of our guests to the Bush Braai at our Marula Tree Boma. I invited friends and business associates from Pondoro and Ezulwini lodges to experience our Bush Braai and their reaction was also very pleasing – coming from guys that run top five star lodges, we felt really complimented. The price differential between the 3 and 4 day Lodge/Treehouse and Lodge/Tent safaris is so insignificant that we have had an increase in 4 and 5 day safaris and a corresponding decrease in the 3 day option. I am pleased with this as I have always believed that the 3 day program is too rushed. I visited this lodge with my small family. It was one of the best holidays that we have had in a while. We stayed at a hotel in Johannesburg before hand and the driver came and picked us up exactly on time as indicated o n our voucher. It was impressive considering the hectic traffic in Johannesburg. After 9 we were on our way. The physical features along the drive to the lodge are quite impressive. I wished I had the whole day to stop along and take pictures of everything that my eyes laid on. The guide we had was good and we really enjoyed our small chats with him. We arrived in Dullstroom and we stopped at a restaurant called Mayfly for lunch. The food was beyond fabulous. We exchanged drivers and proceeded to the lodge. Upon arrival we were welcomed by Rai. Fantastic hostess. She gave us welcome drinks and briefed us on the evenings game drive and bush braai. After check in and a bit of rest we got ready for the evening drive. Rai was there to make sure no one got left behind. The game drive was great. We saw a lot of animals and saw the most amazing sunset ever. It was absolutely breath taking. The bush braai was delicious. I loved the pap and steak and the sausages. We continued with our safari after dinner. The next day we did the morning bush walk. We loved the hippos the most. We then went to a place called Thsukudu. We saw the tame cheetahs as well as a lot of other animals. The kids were excited to pet the cheetahs. We went back to Tremisana after the drive. Dinner was good seating with Rai and the guides. They kept us well entertained. The next day was a full day in Kruger. We are glad and out of words we made the big five and yes the lions were very close. I took so many pictures that I thought my battery was going to run out. Special thanks to Alice who handled our trip booking.We booked directly and she always answered our sometimes silly questions. The lodge has a great team. The ladies, the guides, our stars Alice and Rai we love you guys. We will definitely come back and I promise we will come back a bigger group. God bless you all. All together we had a nice experience and have enjoyed every day. We were not aware of the size of the country and the related distances. The transfer from Johannesburg takes about 6+ hours whereby the last halve will provide you with a beautiful rolling mountain scenery of the country. I got some beautiful pictures out of the car. On the day of arrival we just unpacked and took off to our evening game view including a dinner in the bush and following night drive back to the lodge. We were lucky to have seen a numerous variety of animals and our guide was very knowledgeable and explained a lot about the behaviour and the animals itself. The next morning were were taken on a four our bush walk to a river were we saw some hippos playing and relaxing in the water. Over lunch you have some time to catchup with the short night and then went onto our next game drive. In the evening we transferred to the tree house lodge which is a bit more rustic. Width a little effort they could make it more appealing to European travellers, but this is just as a side note. The lodge is placed in a gated area and you have lots of animals around the houses which was a grate experience. In the morning a large group of velvet monkeys surrounded the breakfast area and plaid in the trees. At all times you have nyalas around you which are very used to humans and hold still for any pictures you might like to take. The one day at Kruger was a full success. The guides help each other with information about animal sightings as they are driving around the park. We only missed the leopard but remember we travelled in February and the vegetation is high but everything is green and all animals look healthy. 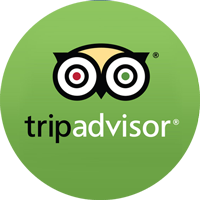 The staff in general were very friendly and completed our grate experience. It was interesting to talk to them and learn how live is in South Africa or were they came from. All dinners were excellent and tasteful the breakfast surfed it’s purpose but I would have expected some more fresh local fruits. All together a unforgeable trip, we left with 800+ pictures. A friend and I stayed at Marc’s Treehouse Lodge and we both thoroughly enjoyed our time there. It went far too quickly. The atmosphere, the staff, the hostess, the wildlife and more, were all wonderful. Beds were comfortable. Tents were clean and there were plugs in the tents to charge up camera’s and phones. It was too cold in May to be using the swimming pool, but it looked lovely for those hot summers days. All in all, we had a wonderful experience.